FARRAGUT, David Glasgow, naval officer, born at Campbell's Station, near Knoxville, Tennessee, 5 July 1801; died in Portsmouth, New Hampshire, 14 August 1870. His ancestry is traced to Don Pedro Farragut, called "E1 Conquistador," who served under James I., King of Aragon, in the campaign in which the Moors were expelled from Najorca and Valencia in the 18th century. The estates of the family were in the Balearic Islands, and among the notable members were Agustin, a theologian; Pablo, an historian; Antonio, a distinguished soldier of the 17th century; Gonzalo, bishop of Urgel; and three magistrates of the kingdom of Majorca. But the name is now extinct in those islands. The admiral's grandfather married Juana Mesquida, and that surname appears to have superseded Farragut. The admiral's father, George Farragut, born in Minorca, 29 September 1755; died at Point Plaquet, West Pascagoula, La., 4 June 1817, emigrated to this country in 1776, took part in the Revolutionary war, and was the friend and companion of General Andrew Jackson during his Indian campaigns of 1813 - 14. The journal of the U. S. House of Representatives for 1797 records that William C. C. Claiborne presented " the petition of George Farragut, praying that he may be allowed the balance of pay due to him for services rendered the United States as muster master of the militia of the district of Washington [East Tennessee], employed in actual service for the protection of the frontiers of the United States south of the Ohio, from the 1st of March 1792, to the 26th of October 1793." George Farragut, as sailing master of an expedition to the Bay of Pascagoula in 1810'11, sent by Governor Claiborne, of the Mississippi territory, bore a principal part in securing from the Spaniards the disputed territory on that coast. Dr. Flood, the commissioner, wrote in his report "At the special request of the inhabitants of Pascagoula, by whom he is greatly beloved, I prevailed on Sailing Master George Farragut to accept the commission of magistrate." George Farragut married Elizabeth Shine, of North Carolina, who bore him five children three sons and two daughters and died in New Orleans in 1808, of yellow fever. The boyhood of David Glasgow Farragut lacked none of the dangers and hardships of frontier life. In his journal he says: "I remember that on one occasion, during my father's absence, a party of Indians came to our house, which was somewhat isolated; when my mother, who was a brave and energetic woman, barred the door in the most effectual manner, and sent all of us trembling little ones up into the loft of the barn while she guarded the entrance with an axe. The savages attempted to parley with her, but she kept them at bay until finally they departed. My father arrived shortly afterward with his command (he was a major of cavalry), and immediately pursued the Indians, whom I believe he succeeded in overtaking and punishing." At the age of eight the boy accompanied his father in a small boat across Lake Pontchartrain, during a gale. "This expedition," he says in his journal, "was my first experience on salt water, and I fervently hoped at that time it would be my last." The father, who appears to have been afraid of nothing on land or sea, and once went from New Orleans to Havana in a pirogue (a sort of canoe), was in the habit of taking his children across the lake in all sorts of weather, saying "now was the time to conquer their fears." At this time Sailing Master David Porter, father of Com. Porter, of the " Essex," being at the New Orleans naval station, became ill, was taken care of at Farragut's house, and died there, his funeral being on the same day with Mrs. Farragut's. This circumstance led to a warm friendship with Com. Porter when he succeeded his father on that station, and he offered to adopt one of the boys. The eldest son, William, had already received an appointment in the navy. The choice being presented to the two others, David promptly said that he would go, and accompanied Porter in the bomb ketch "Vesuwus" to Washington. There he was placed in school, and there also he was introduced to Paul Hamilton, secretary of the navy, who promised to give him a midshipman's warrant as soon as he should complete his tenth year. Subsequently Farragut attended school in Chester, Pennsylvania, where the Porter family resided. He was but nine and a half years old when he received the promised appointment in the navy, 17 December 1810. In July of the next year he went to Norfolk, Virginia, in company with Captain Porter, who there took command of the frigate "Essex," which cruised up and down the coast, her men by constant practice being brought to the highest state of efficiency. The midshipmen were sent to school in Newport, R. I., during the greater part of the winter. When war with England was declared in June 1812, the "Essex" was quickly made ready for sea, and soon captured several prizes. On this cruise Farragut discovered and frustrated a mutiny among the prisoners. In October the "Essex" put to sea again, under orders to join Bainbridge's squadron in the West Indies ; but Porter failed to find the squadron, and on his own responsibility continued his voyage southward, doubled Cape Horn, and made a memorable cruise in the Pacific. Young Farragut was made prize master of one of the captured vessels, and ordered to take her to Valparaiso, the captain to navigate her. When Farragut, who confesses that he " was a little afraid of the violent tempered old fellow," gave his first order, the captain flew into a rage, declared he "had no idea of trusting himself with a dd nutshell," and went below for his pistols. The twelve year old prize master thereupon assumed complete command, had his orders obeyed, called down to the captain that if he came on deck with his pistols he would be thrown overboard, and thenceforth was master of the ship. While the " Essex" was refitting in the Marquesas Islands, Farragut and the other midshipmen played with the native boys, and became expert swimmers. The first battle in which Farragut participated that of the "Essex" against the " Phoebe" and the "Cherub," in the harbor of Valparaiso, 28 March 1814 was one of the bloodiest ever fought on the sea. He says in his journal: "I performed the duties of captain's aide, quarter gunner, powder boy, and in fact did everything that was required of me. I shall never forget the horrid impression made upon me at the sight of the first man I had ever seen killed. It staggered and sickened me at first, but they soon began to fall around me so fast that it all appeared like a dream, and produced no effect on my nerves. After the battle he was at work for nearly a month assisting the surgeons in the care of the wounded, when the survivors were sent to New York in the Essex Junior." Farragut was sent to school again at Chester, Pennsylvania, where he was not only instructed in the usual branches, but also drilled as a soldier. In April 1815, he sailed for the Mediterranean in the "Independence," as aide to Captain William M. Crane: but she arrived too late to take part in the Algerine war, and, after visiting Malaga, Carthagena, and Gibraltar, returned home and wintered at Boston. In 1816 he visited the Mediterranean again, on board the " Macedonian," which conveyed William Pinkney, U. S. minister to Naples; and in 1817 the ship made an extended cruise in that sea, stopping in almost every port, and giving officers and crew abundant opportunities to visit the places of interest. In the autumn of that year the chaplain, Charles Folsom (q. v.), was appointed U. S. consul at Tunis, and at his request Midshipman Farragut spent nine months with him, studying French, Italian, English literature, and mathematics. At this time Richard B. Jones, U. S. consul at Tripoli, wrote to Mr. Folsom :" With regard to my young friend, Farragut, if he will only apply steadily to useful purposes the talents with which he is so bountifully enriched, it must, with his amiable disposition and obliging manners, insure him the respect and esteem of all who know him, and place him, at some future period, high in the niche of fame." In a later letter the same appreciative friend spoke of Farragut as " the young admiral." He attended the grand duke's ball in Pisa, and gives a humorous account of his misadventures. "At one time my shoe buckle caught in the flounce of the archduchess's dress. I kicked off the offending shoe with great elegance, and then knelt down and extricated it, with a suitable apology. Soon after this I trod on the grand duke's toe, and had to make another apology. Chagrined at my own awkwardness, I determined to retire, and looked around for my cocked hat, when I found the Countess Testa using it for foot warmer. I drew it to me rather unceremoniously, at which she remarked that I 'ought to feel myself highly complimented, and should not be offended.' To which I replied, 'Madame, it might be so considered in your country, but not in mine.' "
In the spring of 1819 Farragut made another cruise in the Mediterranean, and was made acting lieutenant on the brig "Shark." In 1820 he was ordered home for his examination, and sailed in a merchantman. On the voyage they were sighted and chased by a Colombian war vessel, which the frightened captain supposed to be a pirate. Farragut therefore took command of the ship, mustered the crew, and prepared for resistance. When a small boat from the man-of-war came alongside, he had a grindstone and a barrel of tar ready to drop into it and sink it if they should prove to be pirates. He passed his examination, but not well enough to satisfy himself, and went to Norfolk, Virginia, where he fell in love with Miss Susan C., daughter of Jordan Marchant, whom he married three years later. In May 1822, he was ordered to sea in the sloop-of-war "John Adams," which conveyed the newly appointed U. S. representatives to Mexico and Guatemala. On this cruise he met General Santa Aria (afterward president of Mexico) at Vera Cruz, and made his first acquaintance with the Gulf where his fame was to be won forty years later. After his return he obtained orders to sail in the schooner "Greyhound," of Com. Porter's fleet, which was preparing for a cruise against freebooters of the West Indies. They had numerous encounters with the pirates, and on one occasion Farragut was sent ashore at the Isle of Pines, in command of a detachment who, after making their way through swamps and thick chaparral, found the caves and concealed houses of the robbers, drove them out, and set fire to everything that would burn. Soon afterward Farragut was made executive officer of Porter's flagship, the "Seagull," which made a cruise to examine the reefs and shoals of the Gulf. In a subsequent cruise he obtained leave of absence and went to visit his friends in New Orleans, taking passage in a vessel that was carrying thither the first load of bricks for the construction of Fort Jackson, with which Farragut fought his first battle in the civil war. In July 1823, he was assigned to the command of the "Ferret," which convoyed merchantmen through the Gulf, to protect them from pirates. He had many cases of yellow fever on board, and treated them himself, the only death being that of a midshipman that refused his prescription because he was not a physician. He himself took the fever on his homeward voyage, and on his arrival was sent to the hospital in Washington, where he remained until his recovery. In 1825 he was commissioned lieutenant, and ordered to the frigate "Brandywine," Captain Charles Morris, which in September carried Lafayette home to France, and after that made a cruise in the Mediterranean. On his return home in May 1826, Farragut took his wife to New Haven, Connecticut, to be treated for neuralgia, and remained there four months, attending the lectures of the Yale professors. Those of Professor Silliman especially interested him. After this he spent two years at Norfolk, Virginia. He was an accomplished cook, and prepared all the food for his invalid wife, and personally took a large part of the care of her. At the same time he established a successful school for boys on the receiving ship "Alert." When Samuel L. Southard, secretary of the navy, inspected this school, he gave it what Farragut calls "one of the few, the very few, compliments I ever received from the navy department or its head." In October 1828, he was ordered to the new sloop-of-war " Vandalia," which in December sailed for the Brazil station. The squadron went to Buenos Ayres, and was there when Rosas became dictator. In the autumn of 1829 it returned to Rio de Janeiro, where Farragut witnessed the marriage of the Emperor Dora Pedro I., and was presented at court. In December an affection of the eyes, which had long troubled him, compelled him to ask for leave of absence, and he went home in a merchantman, which on the way was chased by a pirate. Farragut found four carronades and twenty-four pounds of powder on board, mounted the guns, and got everything ready for a vigorous defense; but the merchantman out sailed her pursuer. In December 1832 he was ordered to the " Natchez," which in January 1833, sailed for Charleston harbor, where she remained until the nullification troubles were over. The vessel was next ordered to the Brazil station. Of Farragut's qualities as executive officer at this time, one of those that sailed with him wrote: "Never was the crew of a man-of-war better disciplined or more contented and happy. The moment all hands were called, and Farragut took the trumpet, every man under him was alive and eager for duty. I remember well one occasion when he took the ' Natchez' out of the harbor of Rio, which at the entrance is quite narrow, against a head wind, by a maneuver termed 'boxhauling.' There were several men-of-war in port, English and French, whose officers and crews were watching us closely. Many declared that the maneuver could not be successfully accomplished, but it was done splendidly, without a balk or failure, and I shall remember to my dying day the glow of pride and satisfaction which we all felt." In March 1834, he took command of the schooner "Boxer," which he thoroughly overhauled and repaired in the harbor of Rio. The "Boxer" was ordered home in the summer, and for four years the lieutenant was in Norfolk and Washington, serving on courts-martial, waiting for sailing orders, and taking care of his wife, who died in 1840. In August 1838, he was given command of the sloop "Erie," and ordered to Tampico, because of the prospect of war between France and Mexico. There he made minute observations of all the military and naval movements, particularly the bombardment of the castle of San Juan de Ulloa, and gave his conclusions in a long letter to Com. Barron, in which he wrote: " If we who wander about the world do not keep those at home informed of the daily improvements in other navies, how can we hope to improve, particularly when we see men impressed with the idea that, because they once gained a victory, they can do it again? So they may; but I can tell them it must be with the means of 1838 and not those of 1812." He now spent two years more at home, serving on courts-martial and learning the carpenter's trade, till the spring of 1841, when he became executive officer of the "Delaware," and in September he received his commission as commander, He sailed once more for South American waters, and in June 1842, received command of the " Decatur." He took every opportunity to travel in the countries whose ports he visited, and became especially familiar with South American affairs. The cruise ended in Norfolk harbor in February 1843. There, in December of that year, he married Virginia, eldest daughter of William Loyall, a woman of superior character and cultivation, and no little literary ability, who survived him fourteen years. In April 1844, he became executive officer of the " Pennsylvania," and at the beginning of the Mexican war in 1846 applied for command of a ship and active service. After much difficulty, he obtained the sloop-of-war " Saratoga," in February 1847. He collected a crew, and sailed two days after his assignment, eager to capture the castle of San Juan de Ulloa, which he believed could be done with three vessels; but when he arrived at Vera Cruz the castle had just surrendered to the land forces. Farragut always thought Com. Conner had lost a great opportunity in not attacking it. He says in his journal" " Of all the service I had seen since entering the navy, this cruise was the most mortifying. As I had the ill will of my commodore" [Matthew C. Perry], "I was not permitted to participate in any of the expeditions and more honorable duties, but was placed under a reef of rocks off Tuxpan, to blockade that port. When I could bear the imposition no longer, I reported the facts to the navy department, and asked to be relieved from under his command, or from command of the ship. Accordingly, I was ordered home with my vessel. My letters were considered improper by the secretary of the navy." Com. Perry denied that he had any prejudice against Farragut. In February5 1848, Farragut's vessel returned home, when he was assigned to the Norfolk navy yard for two years, and in October 1850, was ordered to Washington to compile a book of ordnance regulations for the navy, in collaboration with Commander T. A. Dornin and Lieuts. Barron, Harwood, and Fairfax. This work occupied them a year and a half. When it was completed, Farragut says: "Many of the best features were overruled and stricken out, as were also the drawings, which we considered fine illustrations. The book was highly commended by officers of other navies than our own" but where is it now, God only knows! For those who had the power called a new board ten years afterward, and made a few necessary changes to suit the introduction of steam and heavy guns, and the names of the original board were obliterated." During those eighteen months he attended regularly the lectures at the Smithsonian institution. When he returned to the Norfolk navy yard as ordnance officer, he gave the officers a weekly lecture on gunnery. Lieutenant Percival Drayton was associated with him at this time in a series of experiments at Fort Monroe, to test the various classes of guns used in the navy, and an intimate friendship grew up between the two officers that lasted through their lives. When the Crimean war began, in 1854, Farragut asked to be sent thither as a professional observer. This request was denied by the navy department, “but soon afterward he was sent to establish a navy yard on the Pacific coast, the site chosen being" Mare Island, in the bay of San Francisco. This task occupied him four years. During this time the affair of the vigilance committee took place, and he was appealed to for aid to the state authorities " but he carefully refrained from all interference. In July 1858, he returned to the Atlantic coast, and was given command of the "Brooklyn," a new sloop-of-war, in which he conveyed to Vera Cruz Robert M. McLane, the new U. S. minister to Mexico. The ship was then placed at the disposal of Mr. McLane and took him to various points on the coast that he might communicate with the American consuls. Farragut was taunted with being at the beck and call of a civilian, and made a characteristic answer; "I can only say that I am always at the service of the country in doing my duty, and would rather be subject to the directions of an intelligent man appointed by the government for a purpose on account of his qualifications, than to be under some old fool who has floated up to his position without the first requisites, the only merit that he possesses being that he had been in the navy all his life without having done anything to recommend him either to the government or to his brother officers." From Vera Cruz he wrote:" I can't help loving my profession; but it has materially changed since the advent of steam. I took as much pleasure in running into this port the other day in a gale of wind as ever a boy did in any feat of skill. The people seemed astonished. MeLane said he would sooner have done it than anything else except to take a ship." Governmental affairs in Mexico were very much disturbed at this time, 1859, and Farragut was of great service in protecting American interests there, for which he received a letter of thanks from American merchants in Vera Cruz. He made another trip to Mexico in November and in December passed up the Mississippi to New Orleans, where he arrived just in time to attend the funeral of his brother William, who was retired as a lieutenant. The intimate acquaintance with the Gulf of Mexico and the lower Mississippi, which Farragut gained by these frequent visits, was found to be of inestimable value to him two years later. In the winter of 1860 - 1 Farragut was on waiting orders in Norfolk, Virginia. The one topic of discussion there, as elsewhere throughout the country, was the impending secession of the south and the probability of civil war. If an amicable separation of the country should take place, he would remain with the south, because his relatives were there and his home, so far as he had a home on shore. But he did not see how secession could be attempted without war, and in that event he held that his allegiance was due to the National government, to which he was indebted for his naval education, rank, and employment. He watched with intense interest the efforts to carry Virginia into the Confederacy, and when it was accomplished he declared, "the state had been dragooned out of the Union." As he expressed his opinions freely, and boldly said that President Lincoln was justified in calling for troops, he was told that a person with such sentiments " could not live in Norfolk." "Well, then," said he, "I can live somewhere else," and that very evening (18 April 1861) he departed with his wife and son, going first to Baltimore, and finally taking a cottage at Hastings on the Hudson. He was a member of a naval retiring board in Brooklyn, but had little else to do for nearly a year. The Confederates had already sent out one privateer, the “Sumter,” Farragut, who had a theory as to her probable movements, asked the government to let him go in chase of her with a swift vessel, but the suggestion was not approved. In December 1861, he was summoned to Washington, whence he wrote a hurried note to his wife:" Keep your lips closed, and burn my letters, for perfect silence is to be observed the first injunction of the secretary. I am to have a flag in the Gulf, and the rest depends upon myself. Keep calm and silent. I shall sail in three weeks." For some time a formidable expedition had been in preparation, intended to reduce the defenses of New Orleans and capture that place, which was by far the largest City in the south. The expedition• included twenty-one schooners, each carrying a large mortar, under command of Commander (now Admiral) David D. Porter. Farragut had no faith in the efficacy of these mortars, but, as a great deal of time and money had been spent in their preparation, he accepted the fleet as he found it. He sailed from Hampton Roads, 2 February 1862, in the steam sloop-of-war " Hartford." 1,900 tons, which from that title till the close of the war was his flagship. She had a speed, under steam alone, of eight knots, or with steam and sail combined, of eleven knots. She carried twenty-two nine inch Dahlgren guns, two twenty pounder Parrots, and a rifled Sawyer gun on the forecastle; and Farragut had her fore and maintops protected with boiler iron and armed with howitzers. 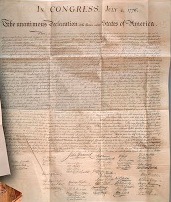 His orders instructed him to "collect such vessels as can be spared from the blockade, and proceed up the Mississippi River and reduce the defenses which guard the approaches to New Orleans, when you will appear off that City and take possession of it under the guns of your squadron As you have expressed yourself perfectly satisfied with the force given to you, and as many more powerful vessels will be added before you can commence operations, the department and the country require of you success." A military force of 15,000 men, designed to cooperate with the fleet in capturing New Orleans, and to garrison the place after it should be taken, sailed in transports from Fort Monroe, on 20 February commanded by General Benjamin F. Butler. The place of rendezvous was Ship Island, which is about one hundred miles northeast of the mouths of the Mississippi. At the last great bend in the River, about thirty miles above the mouth, stood Fort Jackson on the right bank and Fort St. Philip on the left. A single fort at this point had held the British forces in check for nine days in 1814 - 15, though they threw a thousand shells into it. Fort Jackson was a bastioned fortification, built of brick, with casemates and glacis, rising twenty-five feet above the water. Fort St. Philip was smaller, and rose nineteen feet. The whole number of guns in the two works was about 115, which were of various kinds and sizes, but mostly smoothbore thirty-two pounders. Above the forts lay a Confederate fleet of fifteen vessels, including an ironclad ram and a large, unfinished floating battery covered with railroad iron. Below the forts two iron chains were stretched across the River, supported on eight hulks anchored abreast. Two hundred Confederate sharpshooters kept constant watch along the banks, and several fire rafts were ready to be lighted and sent down against the fleet. To pass these obstructions and fight his way to the City, Farragut had six sloops-of-war, sixteen gunboats, twenty-one mortar schooners, and five other vessels, carrying in all over 200 guns. This was the largest expedition that had ever sailed under the United States flag, but it did not include a single ironclad, and while it was mainly built for sea service, its task now was to operate in a River with many shoals and a shifting channel. To get the larger vessels over the bar at Southwest pass, it was necessary to lighten them as much as possible, and then drag them over through a foot of mud. With the" Pensacola" alone, this process occupied two weeks. The "Colorado" could not be taken over at all. The mortar schooners were towed up the stream to a point within reach of the forts, and began to take their places and open fire on 18 April. There was a stretch of woods between them and the forts, and their masts were trimmed with bushes to prevent them from being distinguished. The gunners could not see the forts, but fired with a computed aim, the result of careful observation and triangulation by a coast survey officer. They used shells weighing 285 pounds, and kept up a constant fire for six days and nights, throwing nearly 6,000 shells. This resulted in disabling fifty-three of the garrison and destroying some of the buildings, but not in materially damaging the forts. Farragut was impatient with this operation, as it only served to give the enemy warning, and he found the greatest difficulty in preventing collisions in his fleet. Half a dozen fire rafts were sent down, but boats’ crews tackled them, and either towed them ashore or sent them out to sea. Perhaps no commander was ever so completely master of every detail as Farragut. He could have taken the place and performed the duties of any man in the fleet. He issued orders in which minute directions were given for every contingency that he could anticipate, and in addition to this he bade his officers use their own ingenuity. They whitewashed the decks (for the attack was to be in the night) and took other precautions, the most important of which were those intended to protect the boilers and machinery. Not only was the coal so placed as to guard these, but also all the spare chains were " stoppered" up and down the side amidships. In the night of 20 April Captain Henry H. Bell went silently up the River with boat screw and unfastened the chains to make an opening for the fleet to pass through. In the night of the 23d, LieutCom. C. H. B. Caldwell was sent up to see if the way was still clear, and signaled that it was; but the enemy discovered him and opened fire, at the same time sending down fire rafts and lighting two large piles of wood near the ends of the chain, so that the whole scene was made as bright as day. But the fleet was now ready for the attack, and at half past three o'clock in the morning it was under way. The first division, consisting of eight vessels, was commanded by Captain Theodorus Bailey; the second, three vessels, was led by Farragut's flagship; the third, six vessels, commanded by Captain Bell. As the line of battle passed through the opening in the chain, it came within reach of the guns of the forts, and each vessel in succession was subjected to a raking fire. One became entangled among the rafts and did not get free in time to make the passage, another received a shot in her boiler and was compelled to drop downstream again, while a third, being delayed till daylight, attempted to pass up alone and was driven back by a destructive fire. With these exceptions, the whole line moved steadily up the River, sailing close to the forts and pouring in broadsides of shell and grapeshot that at times swept the bastions clear of the enemy and silenced the guns. After passing by the forts, the fleet was subjected to a raking fire similar to that which it had encountered in the approach, and no sooner had it gone beyond the range of this than it encountered the Confederate fleet. But of this it made short work ; some of the enemy's vessels were driven ashore, some were run down, and others were riddled with shot. The flagship "Hartford" grounded on a shoal, and at the same time the ram " Manassas" pushed a fire raft against her. But the flames were promptly extinguished and the vessel gotten off into deep water, when a steamer approached her in the smoke and darkness crowded with men, evidently intending to board her. She at once planted a heavy shell in the stranger, which exploded, and the vessel disappeared. The "Hartford" then passed on upstream, firing right and left into the enemy's gunboats. The " Brooklyn" encountered several of these, into one of which she sent eleven shells at a single discharge, all of which exploded, and the gunboat ran ashore in flames. The "Mississippi," a side wheel steamer, encountered the ram "Manassas," and received a blow that disabled her machinery; but she sent a broadside through the ram, and promptly boarded it and set it on fire, so that it drifted down the River and exploded the gun boat "Varuna," of Farragut's fleet, was rammed by two Confederate gunboats and sank in fifteen minutes. At daylight the fleet continued on its way up the River, and Captain Bailey, leading in the "Cayuga," captured a Confederate regiment en camped on the bank. On the morning of the 25th the Chahnette batteries, three miles below the City, were attacked and silenced, and an hour later New Orleans itself was at the mercy of Farragut's guns. This exploit had cost the National fleet 37 men killed and 147 wounded, and one vessel sunk out of the seventeen. The Confederate fleet was completely destroyed. At noon the surrender of the City was demanded of the mayor, and Captain Bailey was sent ashore to haul down the Louisiana flag and raise the stars and stripes over the public buildings. A troublesome correspondence with the mayor ensued, and Farragut was glad to turn over the City to General Butler as soon as the troops could be brought up, on the evening of 1 May. The forts had surrendered to Com. Porter on the 28th. It appears that this timely capture of New Orleans changed the purpose of the Emperor Napoleon who was about to recognize the Confederacy and take measures to raise the blockade. Farragut wanted to take his fleet at once to Mobile, capture that place, and close the port to blockade-runners; but the government was anxious to open the Mississippi through its whole length, and the ships were therefore kept in the River for some months. Before daylight, on 28 June 1862, he ran by the batteries at Vicksburg with eight vessels, joining Com. Charles H. Davis's fleet of ironclads above the City. In this passage Farragut's fleet was under fire about two hours, and lost fifteen men killed and thirty wounded. On 15 July finding that nothing could be effected at Vicksburg by the fleet alone, he ran the batteries again, descending the River to New Orleans. The next day he was commissioned rear admiral. On 14 March 1863, to assist General N. P. Banks in his siege of Port Hudson, Farragut attempted to run by the batteries at that place with seven vessels three sloops-of-war, each with a gunboat lashed to the portside, and the side wheel steamer "Mississippi." By this arrangement, if a vessel were disabled, the gunboat could take her out of the fight. But they met so destructive a fire that only the "Hartford" and her attendant gunboat succeeded in getting by. The "Mississippi" ran aground and was burned, and the others were compelled to drop down stream. With the " Hartford" and the "Albatross" Farragut proceeded up stream and blockaded the mouth of Red River, thus preventing Confederate supplies from coming down, or re-enforcements from going up to the army of General Richard Taylor. General Grant and Admiral Porter sent down coal and provisions to him, on barges that drifted past the Vicksburg batteries in the night. Subsequently he assisted General Banks in the investment of Port Hudson, till it was surrendered, 8 July. The Mississippi was now open to navigation through its entire length. Admiral Porter took Farragut's place at, New Orleans, while Farragut sailed for New York in the "Hartford," arriving in August. When the flagship was examined at the navy yard, it was found that she had been struck 240 times by shot and shell during her nineteen months of service. Farragut was given public welcome home and receptions by the New York chamber of commerce and committees of citizens, and rested five months while the ship was refitted. In January 1864, he returned to the Gulf, visited Ship Island and Pensacola, establishing depots of supplies, and prepared for his long meditated attack on the defenses of Mobile. In May the Union League club of New York sent a beautiful sword, with a gold and silver scabbard and the hilt set in brilliants, to him. About this time he wrote; "If any one asks what I am doing, answer, Nothing but waiting for the world to turn round till it comes my turn to do something." He reconnoitered the forts, and declared that an attack would be useless till he had some ironclads. These came at last, as did also the troops under General Gordon Granger for the land attack. The defenses of the bay consisted mainly of two forts Morgan at the eastern side of the entrance, and Gaines at the western three miles apart. From Fort Gaines eastward to a point near Fort Morgan stretched a line of piles and a double line of torpedoes. A red buoy indicated the point where they terminated, and the blockade-runners were accustomed to pass in by the narrow channel between this buoy and Fort Morgan. Inside of these defenses lay the Confederate ironclad ram " Tennessee " and three wooden gunboats. As at New Orleans, Farragut issued general orders containing the minutest instructions for every contingency. His seven sloops-of-war the " Brooklyn" leading and the " Hartford" coming second were to form one line, each sloop having a gunboat lashed on the port side, to take her through if her machinery should be disabled. The " Brooklyn" was given the lead because she had four chase guns and a contrivance for picking up torpedoes. The four ironclad monitors, "Tecumseh," "Manhattan," " Winnebago," and "Chickasaw," formed another line to the right of the line of wooden ships, between them and Fort Morgan. Six steamers were placed south and east of that work, to keep up a flank fire upon it. Before daylight on 5 August everybody in the fleet was astir, and at half past five the signal was given for the advance. An hour later the combatants were within range, and the firing began immediately, and was heavy and destructive on both sides. The admiral mounted into the port main rigging, in order to see over the smoke, and as this increased he gradually mounted higher. Captain Drayton, to prevent his falling to the deck in ease of being wounded, sent up a quartermaster with a piece of lead line, which was made fast to one of the shrouds and passed around the admiral, to prevent such an accident. The commanders had all been instructed to keep to the east of the red buoy but the leading monitor, in her eagerness to engage the Confederate ram, passed west of it, struck a torpedo, and suddenly went down. A little later the "Brooklyn" stopped, and this seemed likely to throw the whole line into confusion. " What is the trouble ?" was shouted through a trumpet from the " Hartford.' .... Torpedoes ! " was the answer. "Damn the torpedoes !" exclaimed Farragut. "Four bells ! Captain Drayton, go ahead! Jouett, full speed!" Thus the "Hartford" passed the "Brooklyn," took her place at the head of the line, and led the fleet into the bay. Every vessel suffered from the enemy's fire as it approached the fort, poured in rapid broadsides that silenced the Confederate guns when it was abreast of the work, and suffered again from raking fire after it had passed. Inside of the bay, the signal Chase enemy’s gunboats was given and the lashings that held the gunboats to the sloops were cut with axes and the former made off for their prey, and one Confederate gunboat was captured one was sunk, and another 'driven under the guns' of the fort. There was a brush with the ironclad ram, but it was not serious, and the fleet came to anchor three miles up the bay. Farragut was planning to attack the ram as soon as it should be dark enough to prevent the garrison of the fort from seeing which was friend and which foe; but the ram anticipated him, steaming directly for the flagship in the midst of the fleet. The admiral at once gave orders for every ship to attack her, not only with shot but also by ramming, and a desperate contest ensued. The ram had the advantage in that she was sure of striking an enemy with every blow, while the fleet had to avoid running and firing into one another. Their shot had no effect on the sloping iron sides of the monster, and when the wooden vessels rammed her they splintered their own bows and only heeled her over. But the monitors, with their enormous guns, shot away her smokestack and steering apparatus and jammed her shutters, while one fifteen inch shot actually penetrated her armor. Her commander was wounded, her crew could do nothing in the smoke that filled their vessel, and she displayed a white flag and surrendered. In the fight the " Lackawanna" had accidentally run into the flagship and cut her down nearly to the water's edge. The victory cost the National fleet 335 men, including 52 killed by shot and 113 drowned in the " Tecumseh." The Confederate fleet lost 10 killed, 16 wounded, and 280 prisoners. The loss in the forts is unknown. A few days later they were surrendered. 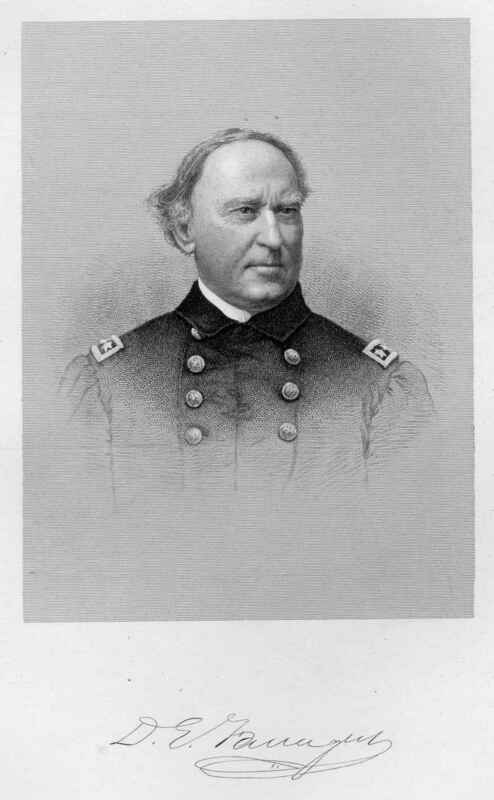 Farragut in his official report awarded the most generous praise to all that had assisted in winning the victory. He said: "The commanding officers of all the vessels that took part in the action deserve my warmest commendations, not only for the untiring zeal with which they had prepared their ships for the contest, but for their skill and daring in carrying out my orders during the engagement," and he mentioned every one of them specially. He also wrote : "I witnessed the terrible effects of the enemy's shot, and the good conduct of the men at their guns; and although no doubt their hearts sickened, as mine did when their shipmates were struck down beside them, yet there was not a moment's hesitation to lay their comrades aside and spring again to their deadly work." The quartermaster that tied him in the rigging says he saw the admiral come on deck just as the killed of the "Hartford" were being laid out, and " it was the only time I ever saw the old gentleman cry, but tears came in his eyes like a little child." Henry Howard Brownell was on board the flagship as an acting ensign, and described the battle in one of his finest poems, "The Bay Fight." The fleet could not capture the City of Mobile as New Orleans had been, because of shoal water and obstructions in the channel. But the purpose of the operation, to stop the passage of blockade-runners and so close another main avenue of supply to the Confederacy, was accomplished. The accompanying view of the " Hartford" shows the ship, as she appeared in Mobile bay after the battle. The stunted appearance of her masts is due to the fact that her topgallants were housed. Her hull was painted lead color. In November as Farragut's health was failing, the department ordered him home, and on 12 Dec. he reached New York, where he was given a public reception, and a purse of $50,000 was presented to him for the purchase of a home in the City. A bill creating the grade of vice-admiral was passed by congress on 22 December and the next day President Lincoln signed it, and nominated Farragut for the office, which nomination the senate at once confirmed. When Richmond fell into the hands of the National forces, Farragut, who was on the James, with General George H. Gordon, procured horses, and rode thither post haste, entering the City a short time before the president got there. A few days later he visited his old home, Norfolk, and was given a public reception by the naval and military officers there and those of the citizens who had remained true to the Union. In the course of his speech he said:" This meeting recalls to me the most momentous events of my life, when I listened in this place till the small hours of the morning, and returned home with the feeling that Virginia was safe and firm in her place in the Union. Our Union members of the convention were elected by an overwhelming majority, and we believed that everything was right. Judge, then, of our astonishment in finding, a few days later, that the state had been voted out by a miserable minority, for want of firmness and resolution on the part of those whom we trusted to represent us there, and that Virginia had been dragooned out of the Union I was told by a brother officer that the state had seceded, and that I must either resign and turn traitor to the government which had supported me from childhood, or I must leave this place. Thank God, I was not long in making my decision! I have spent half of my life in revolutionary countries, and I know the horrors of civil war, and I told the people what I had seen and what they would experience. They laughed at me, and callrd me 'granny' and ' croaker'; and I said, ' I can not live here, and will seek some other place where I can live.' I suppose they said I left my country for my country's good, and, thank God, I did!" On 6 July 1865, the Union club of Boston gave a dinner to the admiral, at which Oliver Wendell Holmes read one of his happiest occasional poems, a few lines of which may be quoted here: " Fast fast are lessening in the light The names of high renown Van Tromp's proud besom pales from sight, Old Benbow's half hull down. Scarce one tall frigate walks the sea, or skirts the safer shores. Of all that bore to victory. Our stout old commodores. Hull, Bainbridge, Porter where are they? The answering billows roll, still bright in memory's sunset ray, God rest each gallant soul! A brighter name must dim their light; With more than noontide ray The Viking of the River Fight, The Conqueror of the Bay. I give the name that fits him best Ay, better than his own The Sea King of the sovereign West, Who made his mast a throne." On 25 July 1866, congress created the grade of admiral, before unknown in the U. S. navy, and the rank was given to Farragut. The next year he was assigned to the European squadron, hoisted his flag on the "Franklin," and made a long cruise in European waters. By special permission of the president, Mrs. Farragut and her cousin, Mrs. Pennock, wife of his fleet captain, Alexander M. Pennock, accompanied them. They visited the principal European capitals, and were everywhere received with the highest honors. One of the most interesting incidents of the cruise was a visit to the Island of Minorca, the home of Farragut's ancestors, where the whole population turned out to welcome him. In the summer of 1869 the admiral and Mrs. Farragut visited Velejo, California His last official duty was to take charge of the naval obsequies of George Peabody, when the remains arrived at Portland, Maine, in January 1870. The next summer he spent in Portsmouth, New Hampshire, the guest of Rear Admiral Pennock. An old sailor, who had charge of the dismantled sloop-of-war "Dale," lying in the harbor, says that one day the admiral wandered on board, and on stepping ashore again remarked:" That is the last time I shall ever tread the deck of a man-of-war." The foreboding proved true, and not long afterward he quietly passed away. The remains were conveyed to New York, and, after a public funeral, were finally deposited in Woodlawn cemetery. Admiral Farragut had a strongly religious nature, believing in the constant guidance of Divine Providence. At the time of his death he was a communicant of the Protestant Episcopal Church. He is one of the few great heroes of the world whose character has never been clouded by the slightest suspicion of a want of honesty or personal purity. Many entertaining anecdotes are told of him. When we consider the novel and complicated problems that confronted him in naval warfare, and the providential manner in which he seemed to have been schooled for them through a long life when we remember how other commanders merely fought line against line in simple though courageous fashion, while he contended with casemated forts, fire rafts, fleets, and hidden torpedoes, all at once, and conquered them all, we can hardly refuse to pronounce him the greatest naval commander the world has ever seen. Admiral David Glasgow Farragut (1801-1870), US Navy. Return to Photos from the Past Index. ... Admiral David Glasgow Farragut : The Civil War Years / by Chester G. Hearn. Select Search, ... 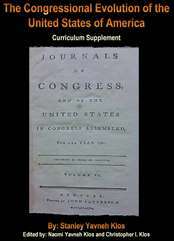 The Columbia Encyclopedia, Sixth Edition. David Glasgow ... David Glasgow Farragut: Our First Admiral. Start your search on Admiral David Farragut.